We are glad you want to know more about us! The Plan Room is owned by the Brazos Valley Contractors Association, a non-profit organization created to promote and serve the local Commercial Contractors. We have over 160 members, most of whom are Subcontractors and we are growing! The Plan Room is our blueprint library (similar to the AGC and F.W. Dodge plan rooms). We hold everything here in digital format. We also publish a weekly newsletter advertising jobs that are bidding in Bryan/College Station and the surrounding areas, as well as instructions as to where, when and who is bidding the job. Contractors benefit greatly by getting in on the bidding process before the dirt turns or hammers swing. Our staff searches many sites to find current leads and get those fresh leads out to you right away. We would be happy to supply you with a list of references. Brazos Valley Contractors Association, in cooperation with The Virtual Builders Exchange, can offer expanded construction reporting and bidding information for projects all across the State of Texas and beyond, not just here in the Brazos Valley. 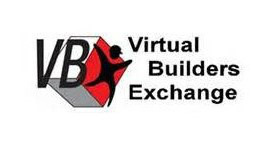 Founded in 1900, Virtual Builders Exchange is the State’s oldest and most respected bid facilitation service.